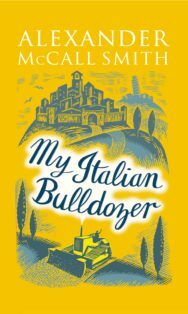 In this Q&A the celebrated Edinburgh-based author Alexander McCall Smith talks to Books from Scotland about his love of Italy and how it inspired his latest novel My Italian Bulldozer. BfS: The novel exudes deep affection for Italy’s food, wine, people, and idiosyncrasies. How did your love of Italy begin and did you always intend to set a novel in Tuscany? AMS: Who doesn’t love Italy? The food, the wine, the charm of the people, the heat of the sun, the history of the country, the language, the buildings – I could go on. I’m very fond of Italy. I spent some time there as a student and then as a visiting professor in the University of Siena. Like any writer, I store information from visits to this place or that and only years later find that it comes together in a story. Montalcino in Tuscany, where My Italian Bulldozer is set. BfS: My Italian Bulldozer is based on a highly popular short story. At that initial stage did you plan to develop it into a longer work? If so, is this process typical to the development of your writing? AMS: I really enjoyed the characters and the setting of the short story but more than anything I was delighted with the response from readers. I revisited Tuscany last year and found that there was a lot of detail that I wanted to add and a longer story to be told. I have developed short stories into novels before – in fact The No.1 Ladies’ Detective Agency started life as a short story written for friends and we are now on book number sixteen of that particular series. But I would not say that this is typical of my writing. I write novels and serial novels, short stories, poetry, libretto and non-fiction books. I take a different approach to each and every one of these. 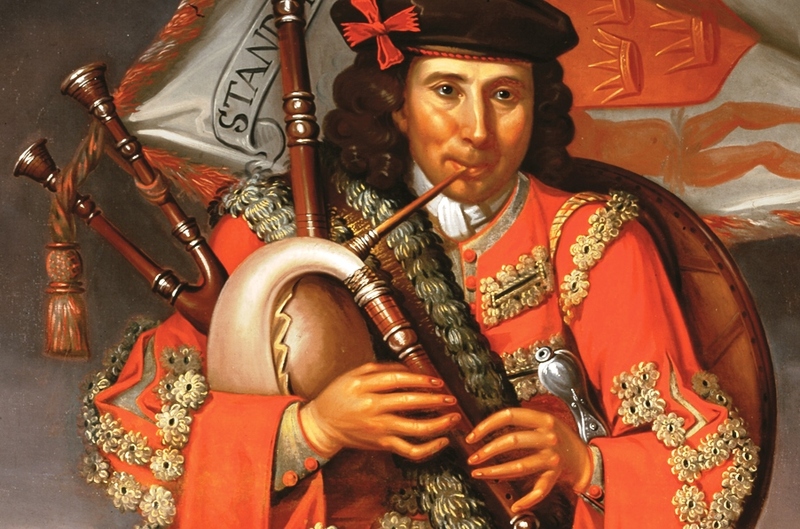 BfS: Paul Stuart, the protagonist, is a Scottish food writer who fits the longstanding tradition mentioned in the novel whereby ‘the North comes to the South to discover all about love and beauty’. What in particular made you decide to take Paul to Italy as opposed to elsewhere? 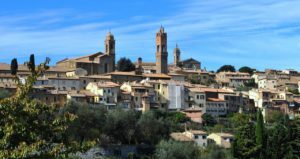 AMS: A recent holiday to Tuscany sealed his fate. BfS: The novel references Italy’s rich and ancient history which you describe as ‘a palimpsest’ with ‘layers and layers of meaning’. What drew you to explore this in the novel? AMS: Italy’s history, both ancient and more recent, has long held a fascination for me. BfS: The Tuscan setting undoubtedly shapes Paul’s literal and figurative journey in My Italian Bulldozer and you recently said that places you get to know tend to find their ways into your books. In addition to Italy, where else have you visited that captured your imagination? AMS: ‘Place’ takes centre stage in many of my books – whether I am writing about Botswana, or Edinburgh, or Australia or Italy. Alexander McCall Smith in Botswana. Photograph by Chris Watt. 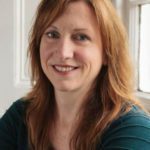 BfS: Finally, what is next for you? AMS: I have just completed the next book in The No.1 Ladies’ Detective Agency series, Precious and Grace, which will be published this Autumn. I am now writing the next volume in ‘Scotland Street’ which is currently appearing in daily episodes in the Scotsman newspaper and will be published in book form in August as The Bertie Project, and a new children’s book, The Sands of Shark Island, is also due out in the summer. 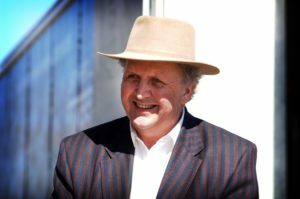 In the last few years, the profile of Alexander ‘Sandy’ McCall Smith has reached stratospheric levels, largely due to the success of the The No 1 Ladies’ Detective Agency stories. The stories, set in Botswana in Southern Africa, feature the intuitive and generous Mma Ramotswe and her small but successful private detective agency. The No.Ladies’ Detective Agency novels won the CWA Dagger in the Library award in 2004. Alexander McCall Smith has also won the SAGA Award for Wit in 2003. 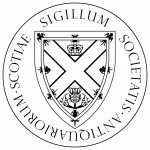 McCall Smith was born in Southern Rhodesia (now Zimbabwe), but moved to Scotland to study law. Later he moved to Botswana to set up a new law school at the University of Botswana. McCall Smith now lives in Edinburgh with his wife and children, where he is professor of Medical Law at Edinburgh University. He has written over 50 books, including fiction, children’s books, and textbooks on medical ethics and law. The Isabel Dalhousie series, starting with The Sunday Philosophy Club, is set in Edinburgh. He is also the co-founder of an amateur orchestra called ‘‘The Really Terrible Orchestra”.